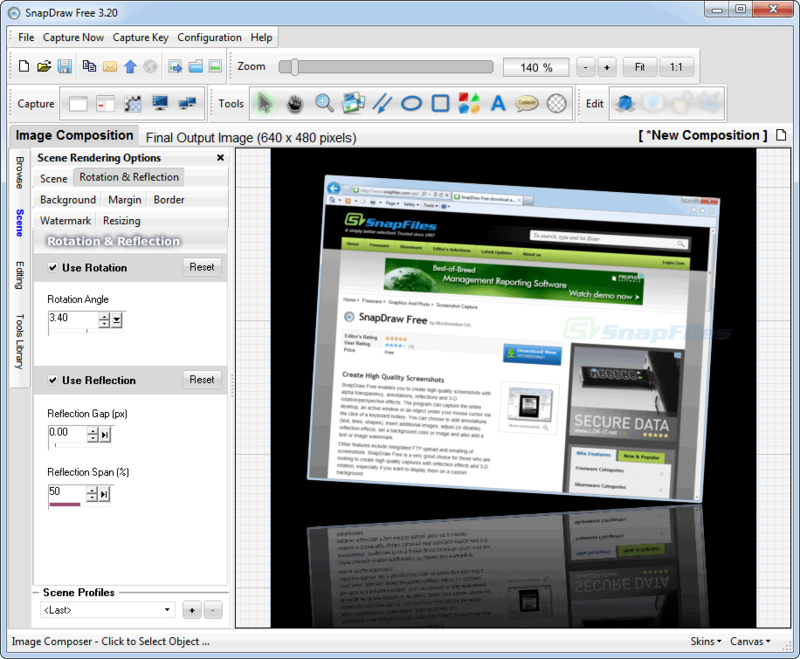 SnapDraw Free enables you to create high quality screenshots with alpha transparency, annotations, reflections and 3-D rotation/perspective effects. The program can capture the entire desktop, an active window or an object... Offers to install promotional, third party software. ScreenGrab is a simple, yet effective screen capture utility for Windows. When running, ScreenGrab responds to preset hotkey combinations, making it easy to make screen captures without having to click on buttons or use the mouse. ScreenRip32 is a screen capture utility that lets you capture your entire desktop, selected areas, regions or application windows and save the screenshot in GIF, JPG, BMP or ICO format. In addition to standard captures, the... Offers to install promotional, third party software. Looking for more choices? There are 13 more downloads in our Screenshot Capture (Shareware) category.